When is the best time to travel to Northwest India? 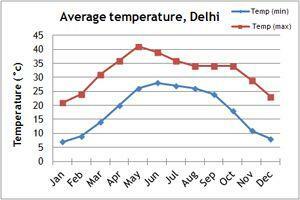 Our temperature and rainfall charts will give you a guide to the climate in Northwest India. The best time to visit Rajasthan is in the winter, between November and March. Temperatures average a comfortable 25 degrees during the daytime. However this is the busiest time of year for tourists visiting the region, so hotels book up well in advance. If you want to go out of the peak season, then March and mid-September to November are still good, though hotter. Pre-monsoon, between April to June, temperatures can climb to 45 degrees making travel uncomfortable. In mid-June, the monsoon arrives, bringing rain and slightly cooler temperatures. 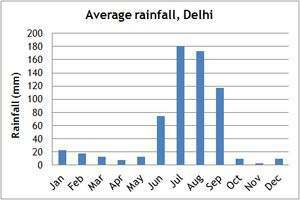 In Himachal Pradesh, in the Indian Himalaya, the monsoon normally lasts from mid-June to mid-September. Following the monsoon, the autumn (September to November), is the best time to trek in the region. During the winter, high passes can be blocked by snow, and temperatures are icy cold. As the temperatures increase in spring, trekking in the area becomes viable again. If you can't make the dates of our group departures, then take a private departure on dates to suit you, or we can create a Tailor Made holiday to Northwest India, especially for you and your family or friends.